Celia Canfield is a California small-business owner and chairman of the board for Small Business Majority. She teaches entrepreneurship at Skyline Community College in San Bruno. 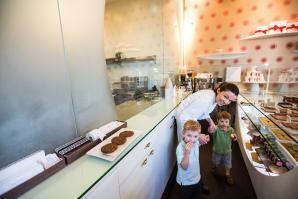 For business owner Ginger Hahn, her eponymous Sacramento chocolate shop is about more than sweets. It’s about freedom.